In addition, since the program is powered by Everything DiSC, each team member will understand their own DiSC style and how their style can contribute to the team's success. 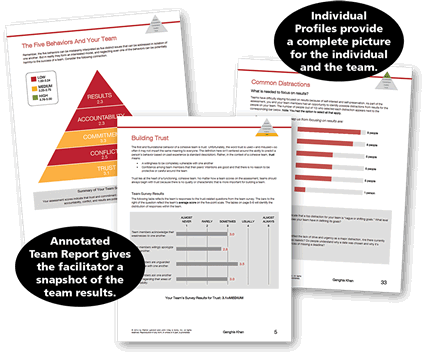 Stay current on The Five Behaviors of a Cohesive Team™! John Wiley & Sons, Inc., or its affiliated companies.